technology. Whether your students are getting ready for college or the workplace, this program gives them the skills they need for success. 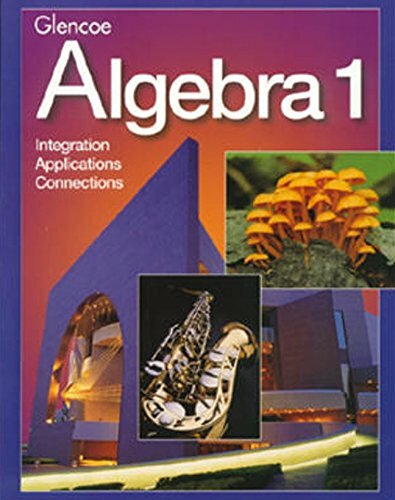 Integration occurs within and across lessons and exercises at the point of instruction.Continual real-life, practical applications keep students excited about learning.Interdisciplinary connections show your students how mathematics relates to science, history, geography, health, careers, ?and life.Long-term Investigation projects engage students in interesting and relevant applications of mathematics.Modeling Mathematics empowers students to think mathematically as they use charts, graphs, concrete models, hands-on manipulatives, open-ended questions, and chapter projects to discover mathematical concepts.Graphing Technology lessons makes the focus on modeling and functions attractive and accessible to all students.